Creating custom keypads and silicone keypads with very bright colors is a technique used to create custom keypads for toys, entertainment devices and variety of other products. These bright colors add impact and flair to products that cannot be achieved using the typical colors found on most custom keypads and silicone rubber switches. Products that require enhanced visual appeal will benefit from utilizing custom keypads that are molded using very bright colors. These iMac color series are being used in toys and cellular phones. 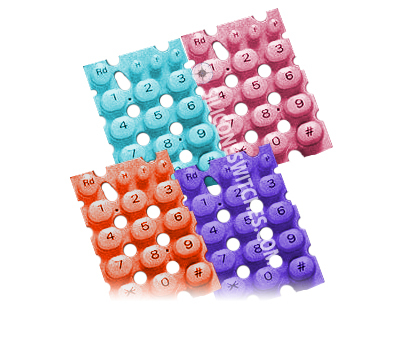 Any custom silicone keypad can use this technique.